Atheism has seen a resurgence in the last decade or so in its publicity—if not also its popularity—due in large part to the New Atheism (names like Hitchens, Dawkins, Dennett and Harris) and most recently Stephen Hawking with his argument against the existence of God in The Grand Design. Yet for every volley leveled at theism in general and Christianity in particular, there is are equally capable minds ready to pick up the gauntlet and offer return fire. Sean McDowell and Jonathan Morrow aren't charting new territory in this book. Far from being a criticism, however, I found this to be one of the greatest strengths of the book. These two authors are thoroughly well versed in the arguments and works of other Christian thinkers and quote liberally from writers like C.S. Lewis, Timothy Keller, Dinesh D'souza, Alister McGrath and Paul Copan. A brief postscript section called "Why It Matters" follows each chapter and features other such thinkers as Gary Habermas, William Dembski, Randy Alcorn and Greg Koukl. The book is broken up into two sections: "Responding to Scientific and Philosophical Challenges" and "Responding to Moral and Biblical Challenges". Each chapter is imminently accessible to even those unfamiliar with the topics at hand. For this reason, none of the arguments get very in depth, but the authors have done the heavy lifting and offer a couple titles at the end of each chapter if you feel up to the challenge as well. Christian apologists have well-reasoned responses to the New Atheists' charges and this book is as good an introduction as one could want. McDowell and Morrow are standing on the shoulders of many brilliant minds and have made a substantial offering in their own right. 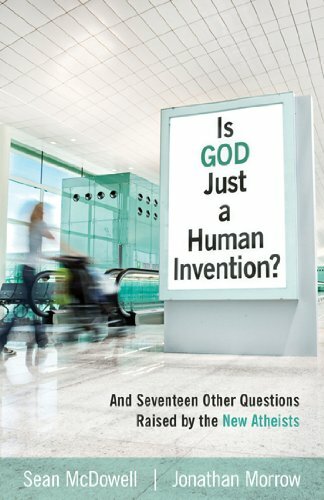 This book is a perfect reference for those familiar with the arguments, a perfect primer for those who are not, and a perfect loaner for the believer and skeptic alike. Recommended for: Skeptics, apologists, those looking for an introduction to the arguments and counter-arguments of the New Atheists.